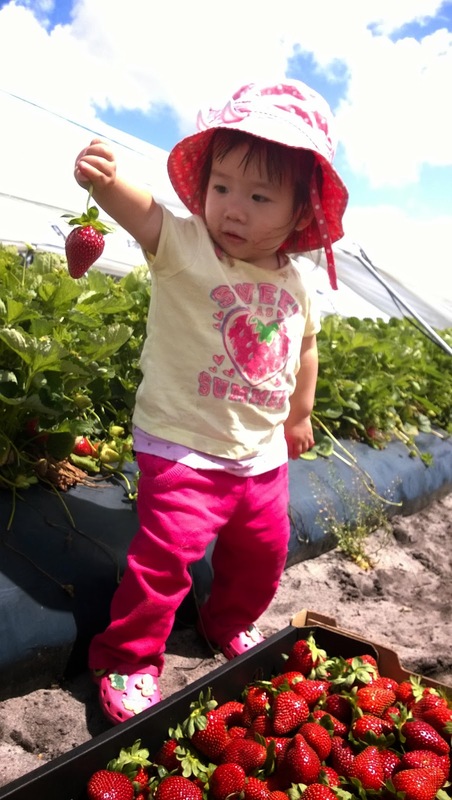 We are going to pick strawberries! 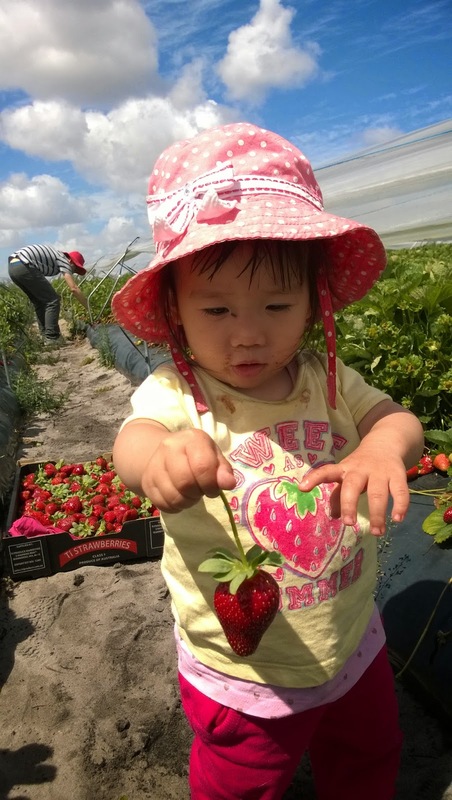 It is the strawberry farm at 263 Old West Rd, Bullsbrook, which is around 120km north of Mandurah, or 50km northeast of Perth city. We depart from our house early in the morning. 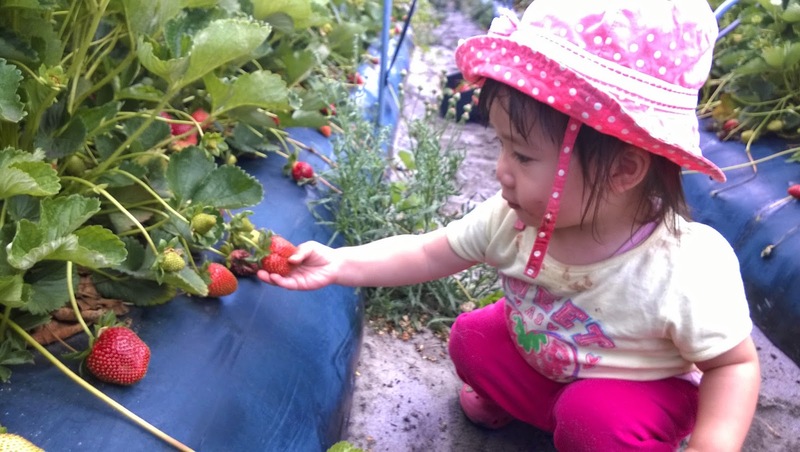 When we arrive at the farm, there are a few other families there ready to pick strawberries. 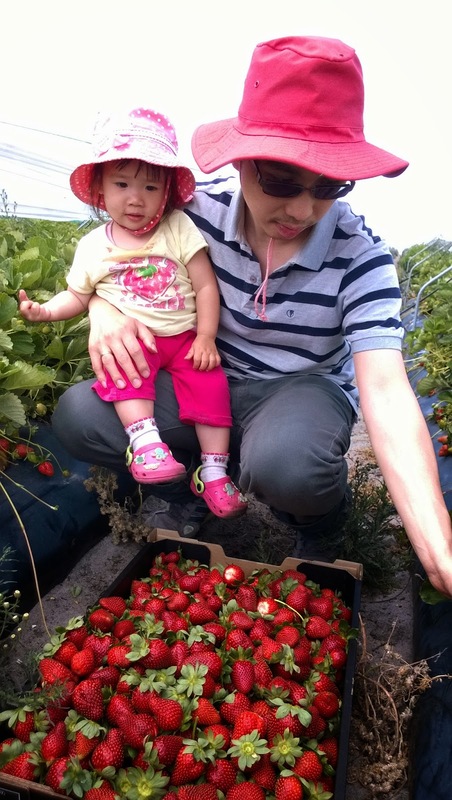 Daddy carries me to the man who looks after the farm and we choose the large tray to pick strawberries. 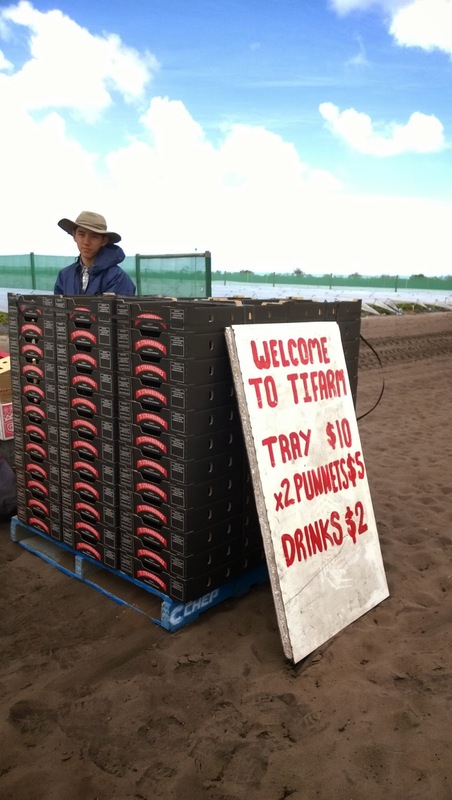 It cost $10 for a tray for around 10kg. 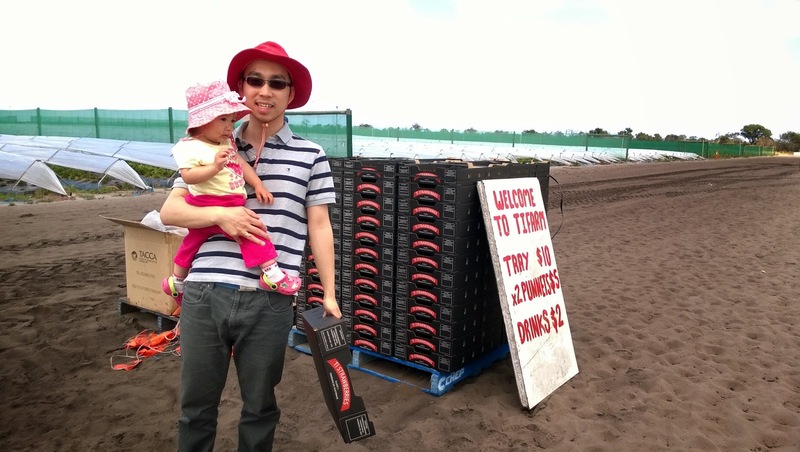 Alternatively you can get 2 plastic punnets for $5 (which hold about 2kg of strawberries). 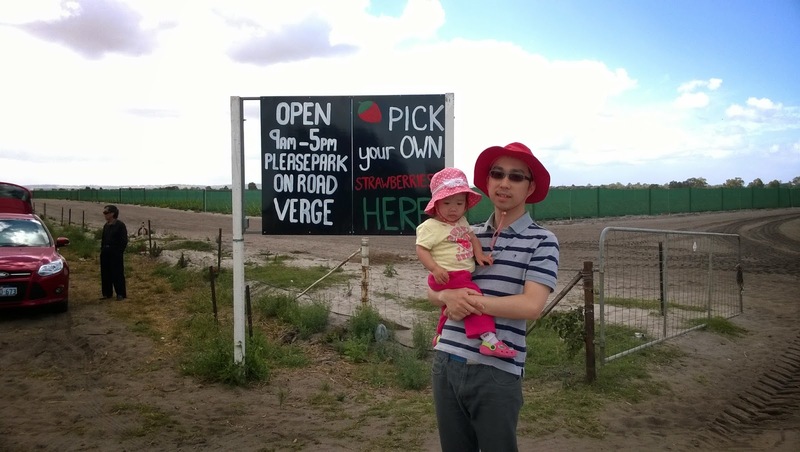 Daddy, mummy and I rush through the sandy path and start picking strawberries. 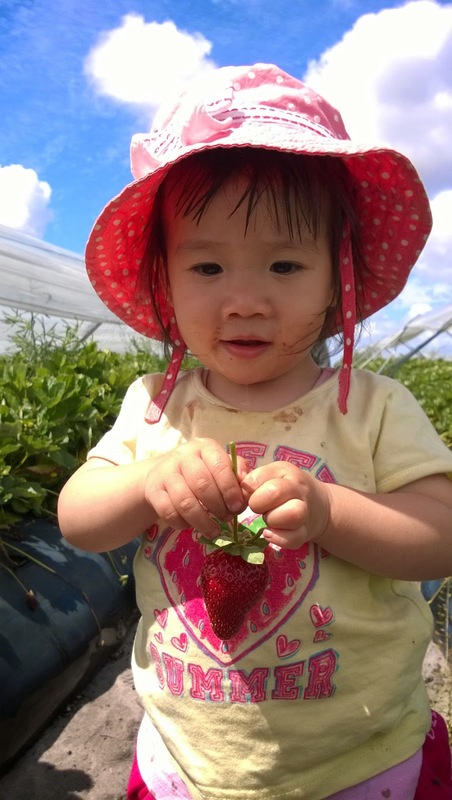 We enjoy eating the strawberries as well, they are big, fresh, sweet and juicy. 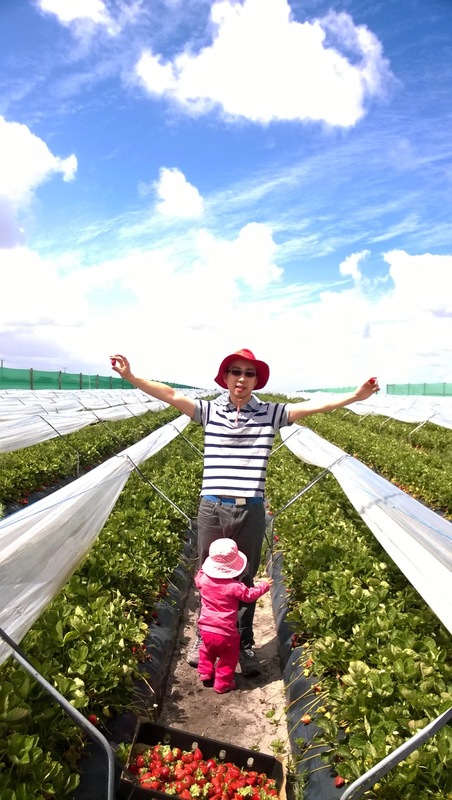 I love the overall experience except for the flies that keep disturbing me :) And remember to slip slop slap your sunscreen. 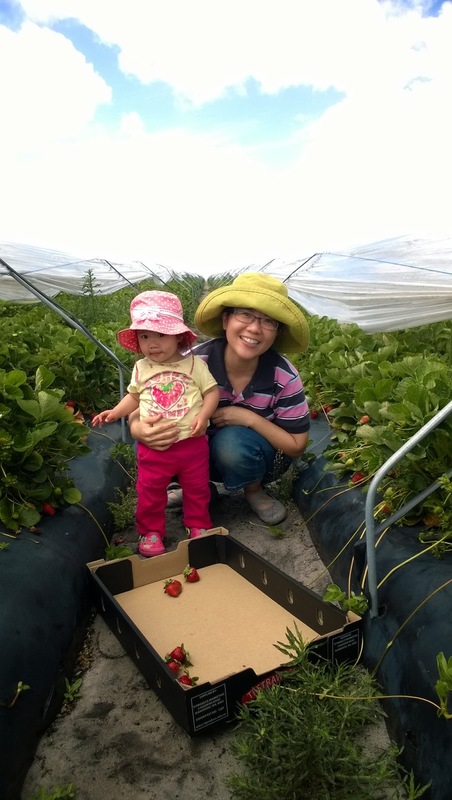 Did you realize that I'm wearing strawberry shirt too? I can make my strawberry float! 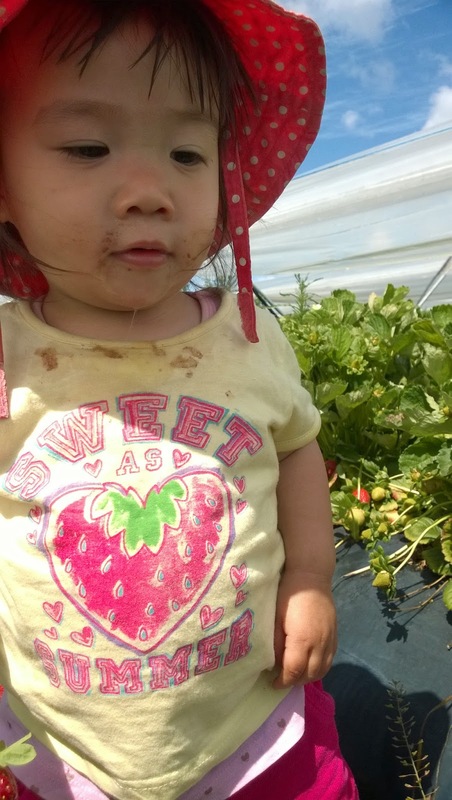 My strawberry and strawberry shirt are one!